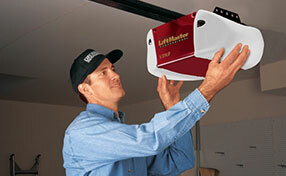 Are you sick and tired of hearing sharp squeaky noises every time you try to open your garage door? Your family and your neighbors are certainly quite annoyed with this as well. Here is how to put an end to this issue and make the door operate quietly again. You simply need to focus your attention on some garage door parts creating the noises. The nuts can produce all kinds of sharp noises while in operation if they are not properly tightened. You need to identify all nuts on the door and track and tighten them with the use of an appropriate wrench. You would want them to fit snugly and to be sufficiently tight to stop making noises. At the same time, they must not be too tight as this may lead to improper operation and pose a risk of damage which would require professional garage door repair, such as the one offered by our technicians. Proper lubrication will not only help to reduce noise but will ensure the proper and safe operation of the door. Each garage door track and hinge requires lubrication with an appropriate oil product. The same applies to the rollers, latches and pulleys or bearings. 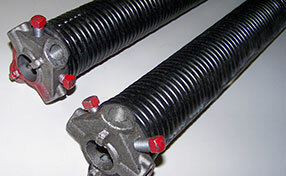 It is typically metal garage door rollers that produce the most noise. If lubrication does not help reduce the noise sufficiently, you should consider replacing them with rollers made from nylon. These are not only quieter. They do not require any special maintenance either. It is true that they are more expensive, but they have a long useful life so your investment will certainly pay off. The hole of each garage door hinge will get oval instead of staying round as time passes. This is part of the natural wear and tear process but can produce quite a lot of noise. That is why if you notice that the holes are oval instead of round, you should replace the hinges. 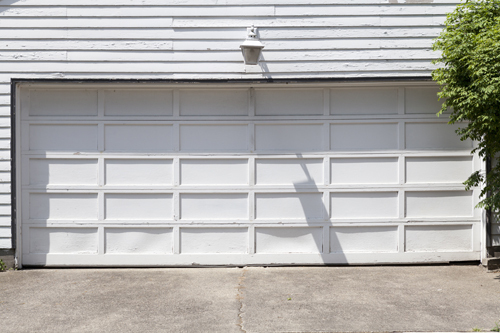 With proper garage door maintenance, you will enjoy perfect peace and quiet.